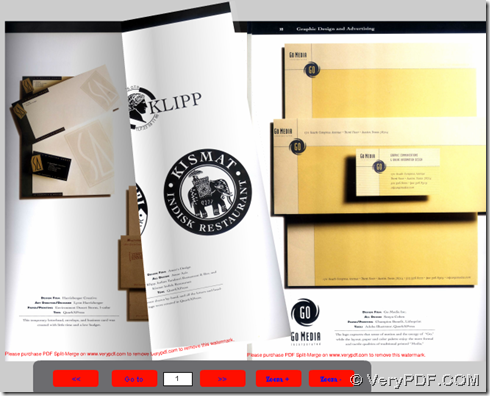 ← How to convert PDF to SWF and PDF to flip book one time? Could we make colorful flip book with command line? PDF to Flash Flip Book Converter could help you make colorful flip book with command line through process from PDF to flip book and PDF to SWF on computers of Windows systems. PDF to Flash Flip Book Converter has been designed to convert PDF to HTML flip book and PDF to SWF quickly and flexibly than you can imagine! Suppose flip book needs to be published or share among your friends, PDF to Flash Flip Book Converter is really worth your try! You could click here if you want to get a trial version of PDF to Flash Flip Book Converter right now, but there is one note you need to care, which is that trial version could only help you convert first 5 pages PDF to HTML flip book and PDF to SWF, so after trial, if you think it is perfect to buy full version, please click here. Where you could see button color and text color is changed so that this flip book could adapt to different webpage or blog styles flexibly depending on your will. Here is the end of illustration about how to make colorful flip book with command line. Besides basic process from PDF to HTML and PDF to SWF, PDF to Flash Flip Book Converter also could help you generate “swfobject.js” file, which could be used by programmers. Furthermore, it supports other interesting functions, too. So for more information and more valuable experience on PDF to Flash Flip Book Converter, please log on homepage of PDF to Flash Flip Book Converter, where an entire flip book could be experienced in more fun! What helps us create vivid flash? This entry was posted in PDF to Flash Converter and tagged command line, pdf to flip book, pdf to html, PDF to SWF. Bookmark the permalink.